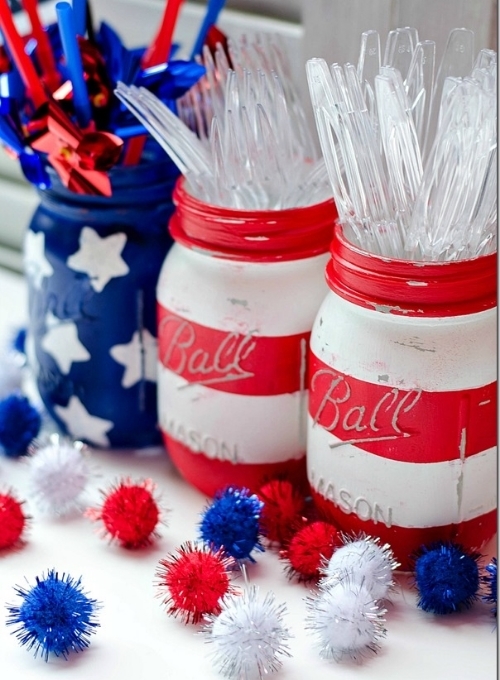 Check out all of our favorite crafts and snacks to make for the Fourth of July! 1. In a large bowl, combine the snack mix, blueberries, cranberries, and sunflower seeds. 2. Place the white chocolate chips into a medium, microwave-safe bowl. Melt in the microwave on High for 60-90 seconds then stir. Melt for an additional 30-60 seconds, if needed. 3. Drizzle the melted chocolate over the snack mix, and stir until well coated. Turn the mix out onto a large piece of wax paper, sprinkle with blue and red candies, then allow the white chocolate to stand at room temperature for about 1 hour to harden. To serve, break the mix up into large chunks. 1. Slice the tomatoes and mozzarella and arrange casually with the basil leaves on a large platter. 3. Sprinkle with salt and pepper and serve at room temperature. 1. Heat oven to 350°F. Grease or spray 15x10x1-inch pan. In large bowl, mix all crust ingredients except butter. Using pastry blender, cut in butter until mixture looks like fine crumbs; press evenly in pan. 2. Bake 18 to 20 minutes or until edges are light golden. Cool completely, about 40 minutes. 3. In large bowl, beat cream cheese and brown sugar with electric mixer on low speed until blended. Add yogurt and 1 teaspoon lemon peel; beat until blended. Spread mixture over crust. Refrigerate at least 1 hour but no longer than 24 hours. 4. Cut into 10 rows by 4 rows. Arrange 1 of each kind of berry on each bar. Store in refrigerator. 1. Fill a bowl with water, add 1 sliced lemon. Freeze completely, about 4 hours. 2. In large pitcher or glass drink dispenser, add lemonade concentrate. Pour in sparkling water. Mix well. 3. Remove bowl from freezer. Dip bowl into warm water, and turn ice out. Put ice in pitcher of lemonade mixture. Add other sliced lemon, berries and mint leaves. Pour into glasses and serve. 1. Paint two mason jars white and one blue using acrylic paint. 2. 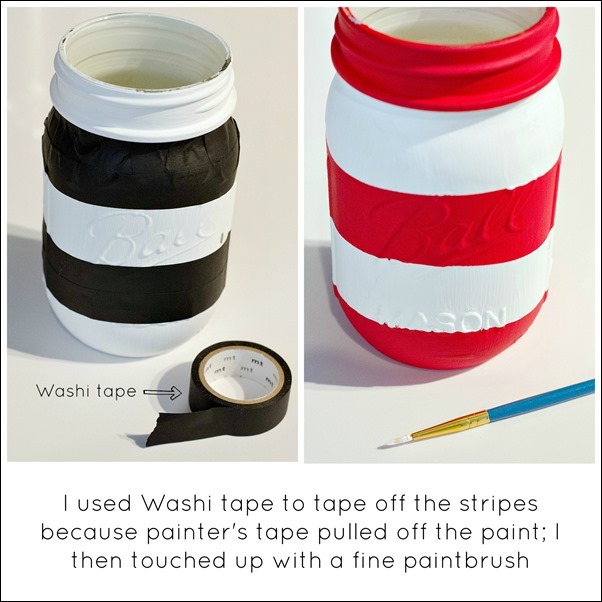 Use red Washi Tape to create stripes on the white painted mason jars. 3. Use star-shaped cutouts or stamps to paint on the blue mason jar. 4. To create a distressed look, rub sandpaper over the jars.